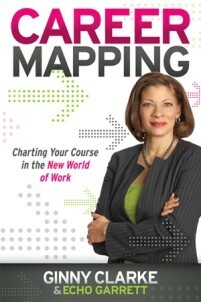 To celebrate the upcoming release of her book “Career Mapping: Charting Your Course in the New World of Work“, author Ginny Clarke is offering some copies as prizes for this contest. Leave a comment about career changes. This might involve changing to a new career or profession, or changes within your career such as a new company, a promotion, etc. Those are just suggestions, so feel free to write something else on topic. Simple – Leave a memorable comment. The winners will be the 5 people with the most memorable comments as judged by me. The funnier, the more unusual, the more personal, the better. No fiction please, only true stories if that's what your comment is about. 5 people will win a free copy of Career Mapping: Charting Your Course in the New World of Work. Winners in Israel, the UK or anywhere else outside of North America will win the ebook edition (sells for US$9.95), which also means they'll get to read it before the paperback winners. Also, know that the official release date of the book is August 1st 2011, but all winners will receive their copies right away before anyone can even buy it, which I think is cool. You can enter as many times as you like with different comments, but you can only win one prize. Please share this article on Facebook to get some of your friends to join the contest too. there as a freelancer, and I was sure I would go to another company to work in one or two days,	it was also my moving day. During this moving day, the new flat didn’t have any internet, the same day my phone broke down and i took it for repairs, same day my website expired with my email going void I was completely left without connection and without the possibility to look for a new job as a freelancer. The day after that i went to my previous company and begged for the same job offer. I’m now permanantly employed for 50% of my annual salary and i’m still well fed and happy. Changing careers is hard. Many people will not understand your decision. Some may even get “in the way” of your decision. But ultimately it is YOUR decision. Changing careers is scary. Specially when one career involves years of school. Just the student loans alone are enough to keep most career switchers at bay. And, unhappy. This is the story of a law school graduate gone AWOL. ME. It’s often a very complex and complicated when a person has had enough of their career, and decide to make the leap. In my case, it’s no different. So to make a long story short, Law school taught me that I just didn’t want to become a lawyer. It taught me that conforming and being like everyone else is no place for me. It taught me that creativity isn’t found in a book or in the case of the law, several books, (all repeating the same thing in different ways). No instead, with law school completed, and the bar exam failed (Yes, I’m aware that most fail it the first time around) I decided instead to make a serious change. One that led me to creativity, fun and ultimately the world of multimedia. Perhaps, in my case at least, it was never really a career change as I have always found myself magnetized to the world of audio, and video, and creating something from nothing. In any respect, it was scary to give up a world of promised money, of high end clients and cases. But in the end, at least for me, it was exactly what I needed to do for myself. But regardless many years later, I find myself at the helm of a 100% volunteer multimedia company that has helped over 60 independent bands a year, over the last 4 and half years. Am I making a 6 figure income? Hardly. But the day you do any job, or follow any career for money, it becomes, at least in a sense, blood money. No, instead you must do what you are passionate about. If you lack passion, you will fail each and every time. So at the end of the day, A career is just a fancy way of saying you have a job that you have done for a long time. And in the end, a job is just a job. It pays your bills, and gets you stuff, that you realistically don’t need. But, it doesn’t have to be that way. It’s only when you wake up with a burning sensation within yourself to do the required day’s work that you know you have made the right choice. For me, my next career will be a furtherance of the one that should have been mine all along. The realm of multimedia is the only place for me. And when I look myself in the mirror, and I see the smile return to my face, I can feel 100% satisfied that career switching, while scary, hard, and really expensive, was the absolute right move to make. I was 42 years old when all of a sudden I found myself alone with 4 kids to feed; I had a small fast food restaurant, built by my ex husband who had left us, but it did not interest me at all: I wanted to build the clientele and sell it. Everyone around me was begging me not to sell it: I was listening….after all, this is what fed my family! but I knew that I could not stay there and pay the price: my mental health, my freedom (food business is slavery!!) and giving up my being as food business did not interest me at all and did not leave me time to do anything else. After 2 years, I found a buyer: I took the courage in my hands and, with the help of a close friend who was working in computers, I decided to sell it and start a new career….in SAP. I knew I wanted to go into IT and everyone was telling me to look into SAP so, I started with one course….at this point, it must be said that I was doing a huge work on myself and was doing a lot of positive thinking, daily constantly, to turn my life around. and so it happened that my first SAP course, had a different trainer than the usual one….and the trainer was a woman who decided to take me under her wings and push me, help me and give me knowledge support as well as introduce me into SAP world. 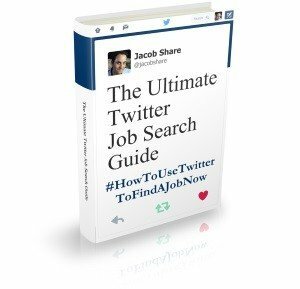 I don’t want to say it was all easy: it took me 7 months to find my first job because of the usual drill; companies were looking to recruite either someone just out of college or, in my age range, with several years of experience behind their back! once again, a random email from a friend of my sister, helped me find the first job and since then, until the 2008 crisis, I was a freelance never out of a job. In 2008 all the SAP projects came to a halt and no new ones were starting: it was a nightmare….when you have 4 children to feed and send into life, a job is quite crucial….once again, via some consultant I met in one of my jobs, I managed to get a job in Israel for IEC. In the past almost 8 years of my career in SAP, I managed to build a very good CV, with nice projects in big companies, meeting a lot od people, traveling quite a lot: I am working as a consultant now in a permanent position for a consulting company and I am considering a career change once again as I think I gave quite some of my time, my head, myself in SAP and I fel I want to do something else. From my experience I know that there is no other way but go for it! that does not always mean leaving the security of the actual job and cut ties! sometimes we can do a gradual change into our new career, maybe start it as a hobby in parallel to our job….but keep your mind and eyes open! the world is full of opportunities: all it takes if for us to recognize ours when it comes and it will! and, a huge leap of faith…. A friend of mine had been made to retire from his job as a programmer. Undeterred, he retrained to go into colon cleansing; but that endeavor failed. However, I’m sure that, despite this setback, with his attitude of being willing to think outside the box and never giving up, he’s certain to succeed eventually – even though his attempt to start a career in colon cleansing was a complete washout. The job market today is very different than in past searches, especially if you don’t have a perfect career path for a recruiter. Networking is everything. A friend just landed a position that was newly created and counts at least eight networking contacts leading to the hiring company. For me, it’s challenging to get back on a career path. I left CPG marketing for more entrepreneurial opportunities looking for similar skills. After a return to corporate marketing and extensive industry layoffs, I started a new career. I am working hard to find the inside connections. You cannot handicap networking contacts. That college roommate to whom you (literally) donated a kidney might be a total bust, but your cousin’s neighbor’s mother’s bridge partner goes to the mat for you — with great results. When networking, you have to bust out of your ‘inner rings’ of contacts. The people they know, and their thinking, will often be in a closed loop. For fresh veins of ore to mine, it’s required to go where you’ve never gone before. As a disabled person, I had worked in the field of services to people with disabilities for over 10 years. Much of that work was specific to the area of employment services. However, my local community college (where I also earned my AA transfer degree) had an opening for a career specialist. So, here was an opportunity to expand my work to the “general population” of college students. So, how do I make the transition, and how to get the interviewers to see my previous experiences as relevant to their opening? Well, I had to expand my thinking of the work I had actually done. I have worked directly with employers, in many different sectors, throughout the community. I had alaso consulted with some of the most challenging individuals in our community. I had also been studying markets and hiring trends throughout our community, for years. Notice how I use the term “our community” more than once. I made sure to do so during my interview, as well. My ‘trick’ and the importance of how I shaped my previous experience in such a way that I was able o touch on the needs of college students, and how those skills were relevant to those needs. The other important aspects of my experience which helped the interviewers see me as a viable candidate was my experience working within grants, government funding and the understanding of irregular funding issues. The most important thing to learn from my experience is understanding how the previous work we do can be expanded to meet the needs of other employers. I think the best advice I have received is the same advice I now give: believe in yourself. Don’t let anyone tell you you can’t do it. Know your strengths and how to use them. And … make your goals realistic. The 55 year old felon who has decided it is time to start college and seek a degree as a social worker might need some additional coaching. My advice: Be cool, don’t be panic with the questoins, think before you answer. When you provide your answer on paper pay attention to write it clearly and organized. I’ve been a qualified careers adviser in the UK for the past 10 years, but now, as a result of a change in government and cutbacks, I’m being faced with redundancy myself. I have found that the best way to prepare myself has been to give myself the same advice I have been giving young people for so many years, and as a result, I have assessed my own skills, weighed up what I can and can’t (or won’t) do, along with what I would like to achieve for myself over the next few years. I can honestly say that I have re-invented myself, and look forward to whatever the outcome of the next few months. I’ll be in touch with each of you later today about claiming your prize. Thanks so much for the opportunity to enter the contest. I know I AND the students I work with will get a lot out of this book., I really look forward to it. I am currently attending Kaplan University, via online courses for my Associates Degree in Information Technology, Applications Development. I am 47 years young, and it has been many years since I have gone to school. I was a little afraid to make such a bold leap, especially because I also have two young boys and a wife to support. I have been doing construction work for the past 12 years, but with the Market crash, jobs came to a screeching halt. Many workers left the state or were forced to work for less to get the next job. I decided that I was tired of construction and wanted to go for my first love, computer science. I will be graduating in December of this year with a 4.0 average, if all goes as it has been. As I get closer to that destination, I realize that I will need to hit the ground running, and get a job A.S.A.P. I have some questions and concerns as to what I should put on my resume and such, since this is a pretty severe career change. I feel that a book like this could really help. I finished my first read through of the book “Career Mapping” that I won from Jobmob and just wanted to say that it is full of exceptional advice and a real sense of strategy to landing my next career. Coupled with Seth Godin’s “Linchpin”, I now believe I have the right set of instructions and advice to plot my course into my next career. Thank you so much for the brilliant advice. 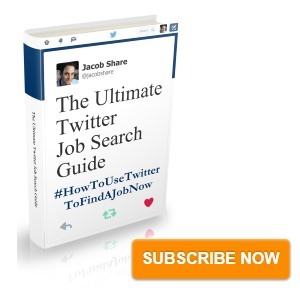 A must read for anyone who is working towards improving their way of looking at job searching. Let me say, as one of the winners of a copy of “Career Mapping”, by Ginny Clarke, the reading of it is the opportunity to get advice and ideas from someone who has actuslly done what she is advocating others to do. She provides specific, actually examples which can be replicated in any field of work or industry. This is also one of the few books within this topic area that is as beneficial for the “fresh-out-of-college” person, trying to enter any field, to the CEO trying to leverage a better work environment. The author also shares the up’s and down’s of her personal growth and development, a truly inspiring story. I`ve used the electrical stimulation device for anticellulite massage. My hips look better after two months of using. I advise this simulator to all women with similar problems. I’m sorry I missed this contest too.